With a bike this old, there is always going to be some history attached to it. From the official Norton records, it says it was dispatched from the factory on 17/6/1930 to a Dutch racer named Piet van Wijngaarden. Piet ordered two of these machines, and at the end of the month he had won the Dutch TT. It is not clear if he had ridden this machine to victory or the other one. 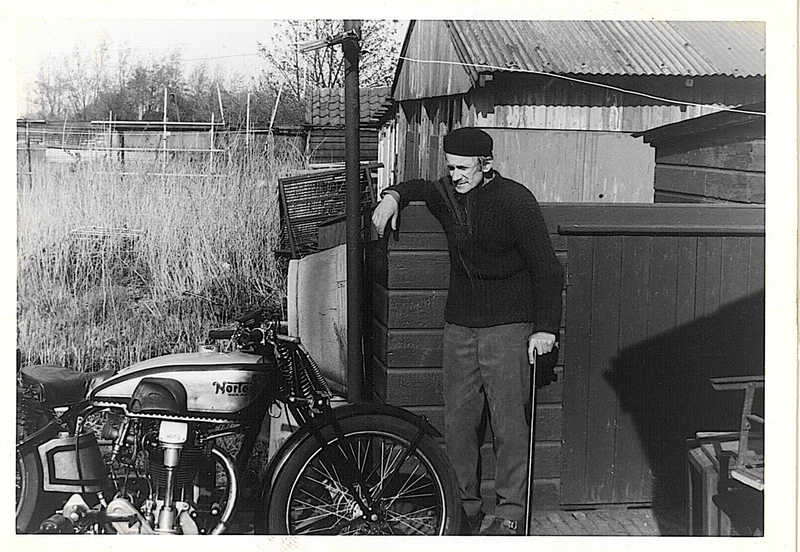 Marcel inherited the bike from his uncle Ko Konijn (pictured below in the B&W photos). 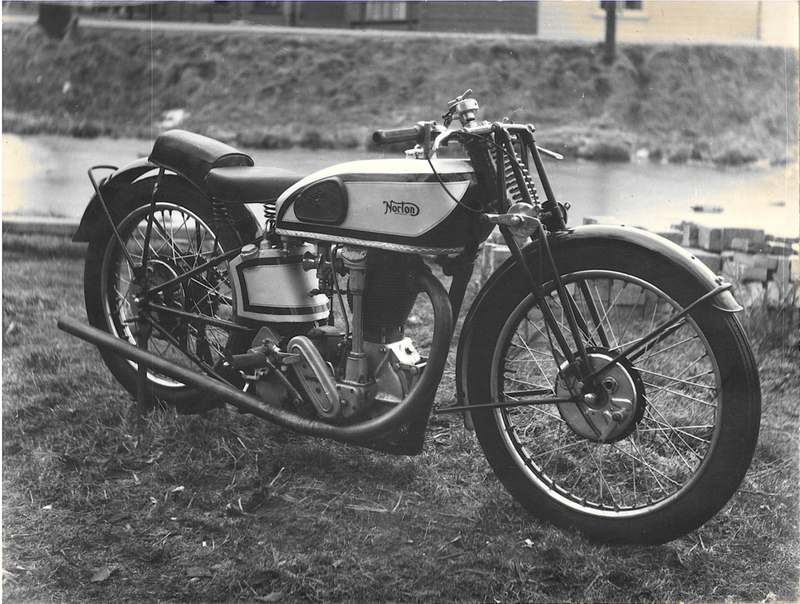 Ko was one of the biggest Norton collectors in the Netherlands, and “knew technically everything about Nortons”. 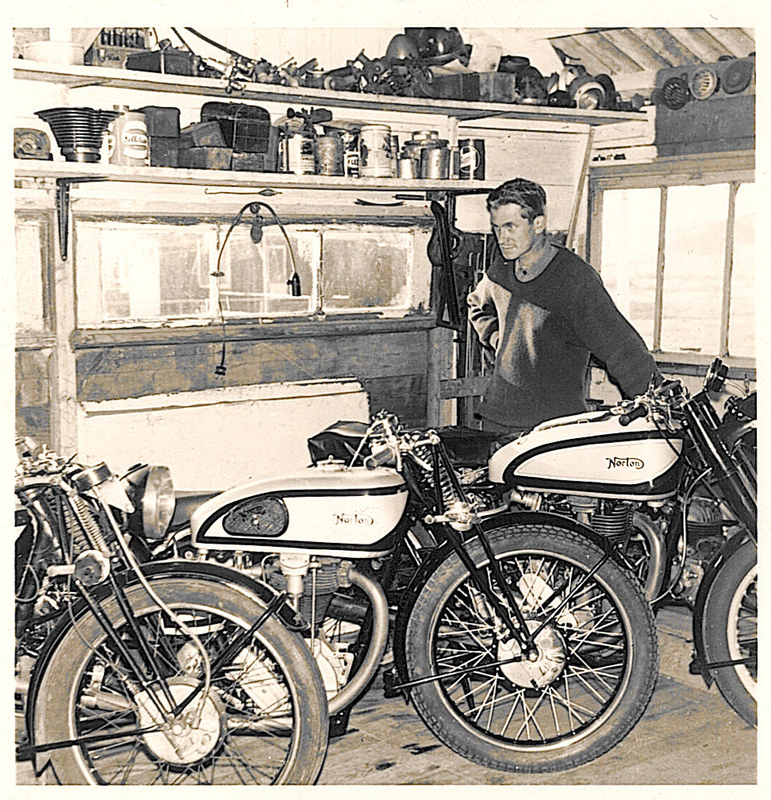 He started taking apart motorbikes at 16 years old, not only Norton’s, but also other brands. When he was 25 years old, sadly he was struck with a back illness that would prevent him from riding bikes again. Although he couldn’t ride, that didn’t stop his passion for motorcycles. From that moment on he started collecting and restoring Nortons. 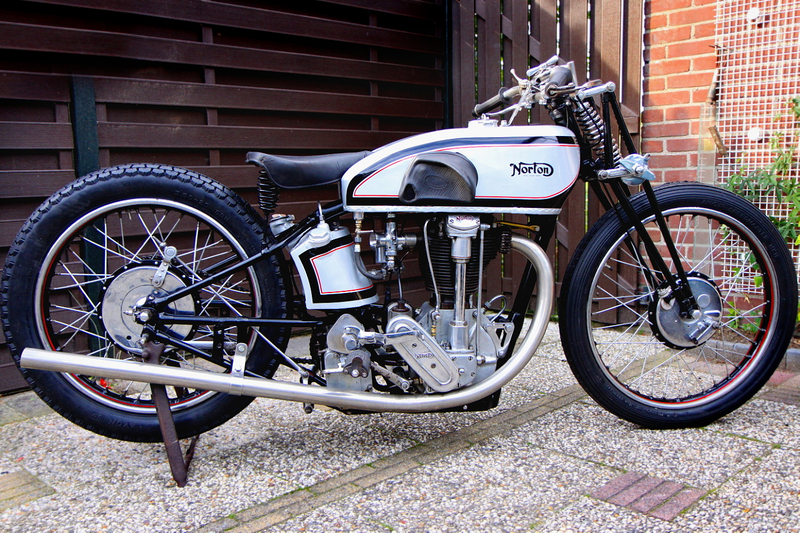 In 1959 Ko bought this 1930 Norton CS1 TT from someone who had been riding it for the last 10 years, as a daily commuter bike on open roads. Over the next ten years he completely restored the bike to its original state. Then it was put away in his collection and never run again, until a few months ago when Marcel rebuilt it, now the bike runs like it did when it rolled out of the Birmingham factory 80 years ago. 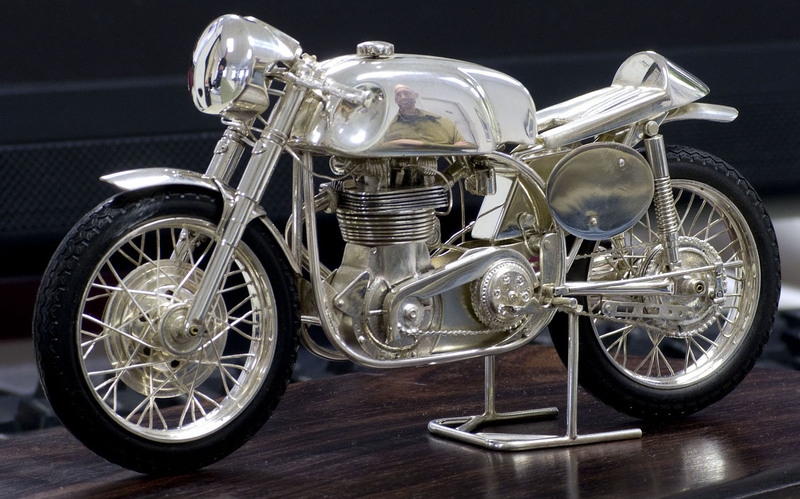 Marcel is a Silversmith by trade, and spends his time building silver classic motorcycles like this stunning Norton Manx.